When you are planning to make a purchase you should consider rebates and other way ways to save money. The goal isn’t to get a cheaper item. What we want is to get the best quality at the best price. Sometimes we buy toys. Other times we buy things we really don’t want to. You don’t want to buy a new water heater or a new air-conditioner, but sometimes you have to. On the other hand we love to buy new TVs, new computers and other toys. And lets not forget about food! So many things we have to spend money on. But if you manage your spending and put time into planning you can expand your buying power tremendously. Rebates are a great way to buy more for less. Usually you have to wait for the rebate but it’s almost like money in the bank. Some rebate processors pay monthly, other pay quarterly. Limits and details vary among sites so be sure to read through the FAQs to find out the most important information. It doesn’t matter whether you are looking to buy a printer, computer, or television; or if you are interested in new clothing, furniture, and garden supplies. based upon the rebate values and price comparisons. 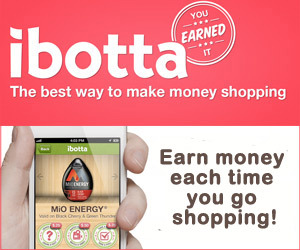 First check the ibotta app on your phone to find rebates on things you need. 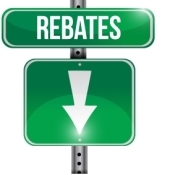 Next, check with an online rebates site like eBates or SavingStar to see what they are offering in terms of rebates at a particular store(s) where you plan to shop. Don’t make a decision yet. You are researching. Next, you can compare prices and availabilities among several stores. Generally, you would be making your purchase online but this isn’t always the case. Keep in mind that stores often offer the same items online at lower prices than what you might see locally. This is especially true with electronics and “big ticket” items. After shopping around I decided on a printer from walmart.com that was priced at $89.00. I was able to get a 4% rebate through eBates. All I had to do to get that was to login to my account and click their link to go to walmart.com. Not long after the purchase was complete the rebate showed up as a credit in my account. It really doesn’t matter if you are buying “big ticket” items or everyday household items and groceries. Taking advantage of rebates when you shop is just good wisdom! eBates Earn Cash Back For Shopping. Save At Your Favorite Stores. Plus, Sign Up Now And Get A Free $10 Gift Card! SavingStar is the smart and simple way to save. Earn cash back on your groceries with exclusive freebies, healthy offers, and BIG savings on your favorite brands. There’s nothing to clip or print. Link deals to your store loyalty cards or submit a picture of your receipt to earn money in your SavingStar account. Save 20% on a fruit or vegetable every week. Get a free product every Friday-Sunday. And, get new deals on your favorite brands every week. You can cash out to your bank account, PayPal, or to a gift card. SavingStar now works at over 60,000 stores nationwide. The service is free and easy to use, so join over 5 million members and start saving money today.Click here for SavingStar. Everyone, please feel free to post below about your own experiences using rebates to save money!